Telstra has claimed that at least some of the first wave of 5G devices hitting Australia in 2019 will be exclusive to their network. 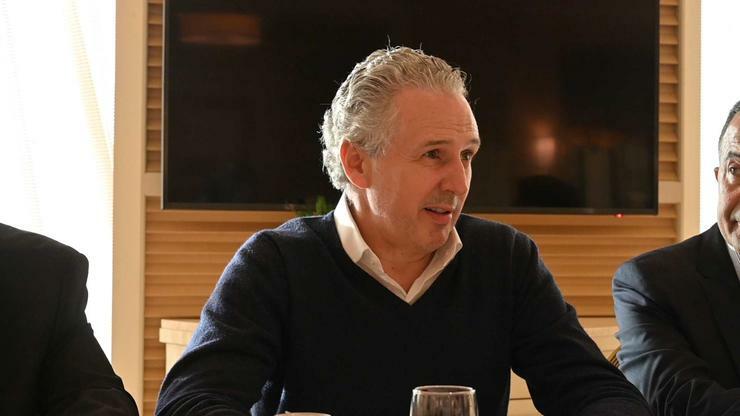 Speaking to journalists at CES 2019, Telstra CEO Andy Penn said that "This is the year of 5G and, as a world leader in the testing and development of 5G, we have been working closely with numerous global manufacturing and industry partners to make this revolutionary technology real-world ready." The company says they can't name the specific brands in question, nor the timing of when these next-generation mobile devices will arrive. Still, according to them, these select 5G devices will be available exclusively through Telstra before any other Australian mobile operators when they are released in the first half of 2019. Penn says that "these strategic relationships are now paying off directly for our customers, who will soon have exclusive access to 5G enabled devices on the nation's largest and fastest mobile network, and other devices will also soon hit our stores." "We are committed to ensuring our customers get the best technology and deals on Australia's best mobile network. We continue to hold discussions with a number of device manufacturers and we look forward to making further exciting announcements in the near future." When asked whether the customers of Telstra-based NVMO operators like Boost or Beyond will be able to use 5G devices as well, PC World Australia were told that it "depends on our strategy on NVMOs. Typically we have a multi-brand strategy." "For example, the Telstra brand stands for the Telstra premium network and that customer is expected to get the best network as a consequence of that. If you go on a secondary brand, we don't necessarily give exactly the same experience to that secondary brand or NVMOs. Typically, what we've tended to do is retain our NVMOs as one step behind." "If we launch 5G, we give them 4Gx. That's typically been the way in which we've managed it." It is unclear whether these exclusive devices will be "locked" to the Telstra network or even if there will be other 5G networks in Australia by the time they arrive. When asked, Penn said that a return to the locked devices of older networks was "not necessarily" on the cards but didn't rule it out as a possibility outright. As for what kind of premium they could charge customers for 5G, Telstra's answer was vague. According to them, "the dynamic is twofold. One is that customers are keen to get that new technology first and take advantage of that new technology faster, and therefore they need to pay more." "And then, on the flip-side, the operator has just spent an enormous amount of money investing in the spectrum, capx, bringing out new products and devices and that adds cost and that does tend to lead to an increase in prices." Telstra's 5G plans and the first wave of 5G mobile devices from manufacturers like Samsung, Huawei and others are expected to roll out in the first half of 2019.